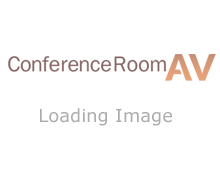 What information does Conference Room AV collect? To send periodic emails- the email address you provide for order processing, may be used to send you information and updates pertaining to your order, in addition to receiving occasional company news, updates, related product or service information, etc. We offer the use of a secure server. All supplied sensitive/credit information is transmitted via Secure Socket Layer (SSL) technology. After a transaction, your private information (i.e. credit card information) will not be stored on our servers. does not include trusted third parties who assist us in operating our website, conducting our business, or servicing you, so long as those parties agree to keep this information confidential. We may also release your information when we believe release is appropriate to comply with the law, enforce our site policies, or protect our or others' rights, property, or safety. However, non-personally identifiable visitor information may be provided to other parties for marketing, advertising, or other uses. We are in compliance with the requirements of COPPA (Children's Online Privacy Protection Act). We do not market or direct this site to children under 13.